Trump is keeping a close eye on the countries that voted against the resolution to declare Jerusalem to be the capital of Israel. And he’s keeping an eye on the purse strings. With good cop Nikki Haley and bad cop Donald Trump, the current administration is very effective in reminding fellow United Nations members that it’s America that’s paying for the lion’s share of their little projects. 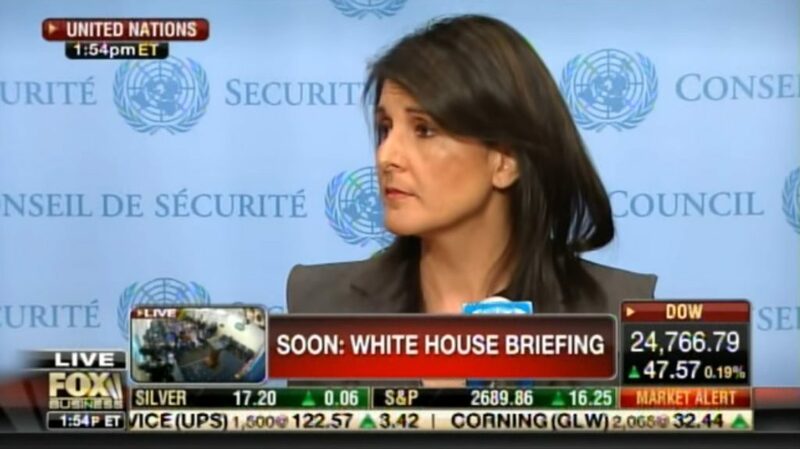 Recently Nikki Haley spoke to a press conference concerning UNRWA, or the United Nations Relief and Works Agency, which deals with assisting Palestinians refugees. The agency is supposed to be a stop-gap measure that helps Palestinians as long as they are acting in good faith, and the money is supposed to keep them supported if they are working on returning “to the negotiating table” with Israel to talk peace. While Haley is a strong voice at the UN she is a calmer voice than Trump who makes the same points, but in a much more blunt fashion. In other words, we’re paying for your projects, so we expect a bit of respect and support. It was not clear whether Haley meant that Trump will not grant additional funds to the UN, or to the UNRWA specifically, unless conditions are met and peace talks resume, but Trump had previously threatened specifically to pull aid from countries who do not support the resolution that Jerusalem is the capital of Israel.